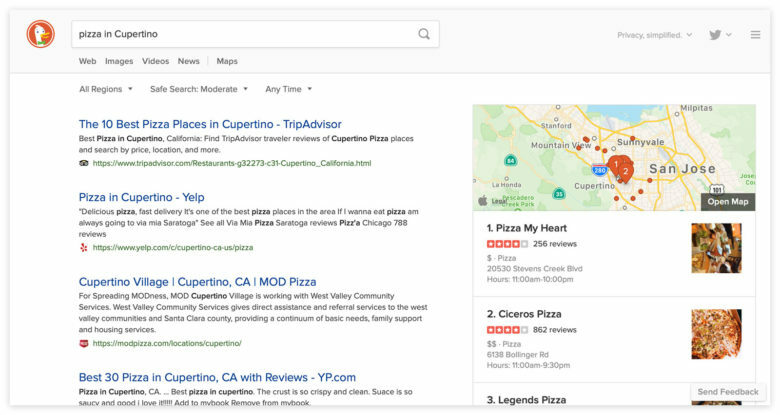 It wouldn’t be possible for DuckDuckGo to team with Google Maps for locations searches as Google would insist on collecting information on all users. But that’s not true for Apple. “You are still anonymous when you perform map and address-related searches on DuckDuckGo,” the search engine promised. This new feature is powered by Apple MapKit JS framework, which was created to enable companies to add interactive maps to webpages. DuckDuckGo is one of the first global companies to employ this offering that Apple launched last summer.